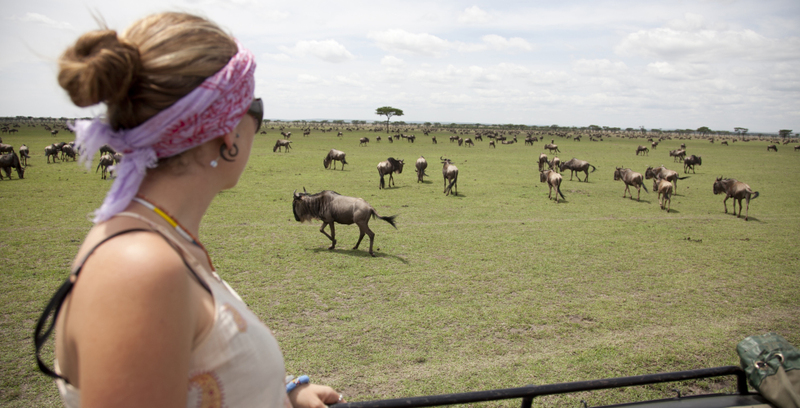 The buzz is all about the wildebeest river crossings, but it’s important to make sure the gnus don’t steal the whole show: the Mara especially offers incredible big cat sightings, and the exclusivity and freedom of the conservancy comes into its own in busy August. The key to this quarter is giving yourself enough time to catch a crossing or two, but also to explore the territory beyond the river. A great way to do this is through walking and adventure flycamping – the cooler, drier weather at this time of year makes getting out on foot the perfect way to get to grips with these stunning landscapes. 15th June to 15th November. 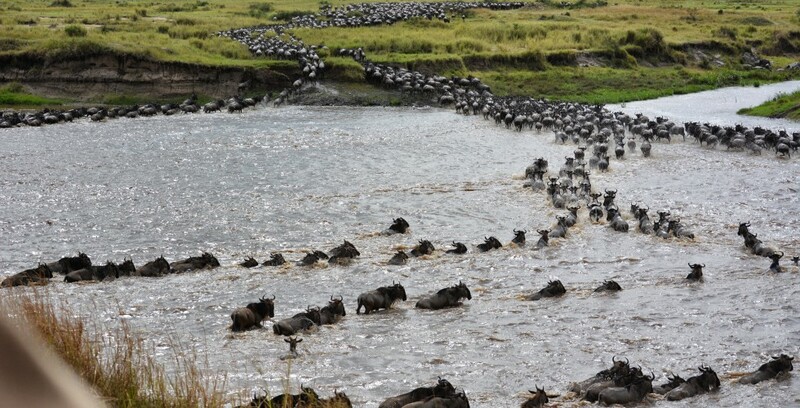 It’s that time of year when the wildebeest make their legendary river crossings. In July, the early herds explode across the water in their hundreds of thousands, breaking off into smaller factions for grazing. Grass fires in June and July herald new shoots for them to eat, and the location of these fires governs some of their micro-movements across the plains. 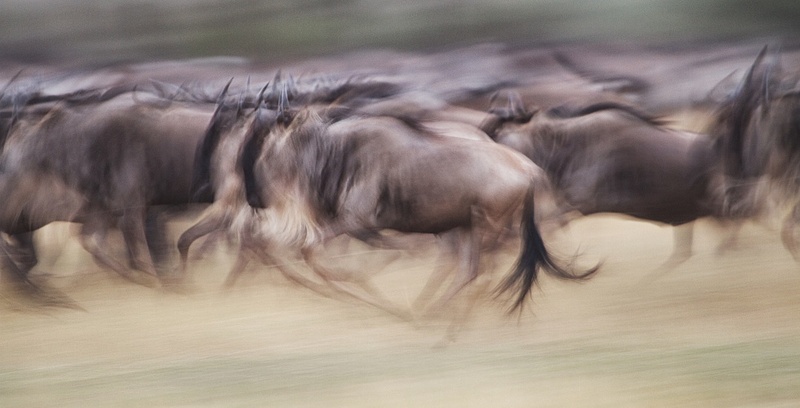 Roughly half the wildebeest population stays in Tanzania, while the other half heads over the border to Kenya. 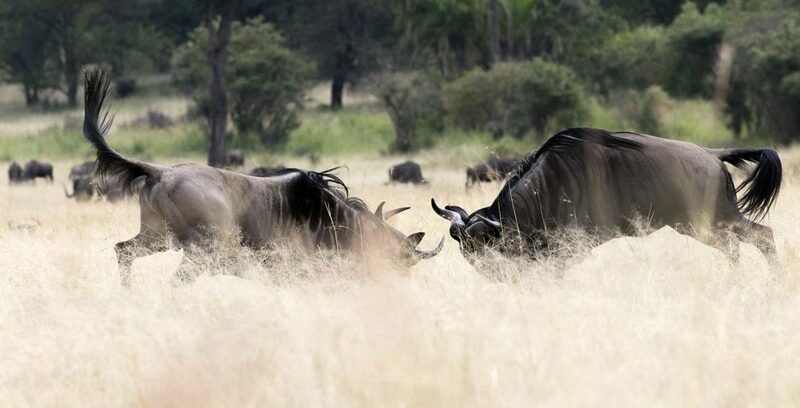 They cross back and forth over the Mara River following storms, being chased by predators, and seeking new grasslands. 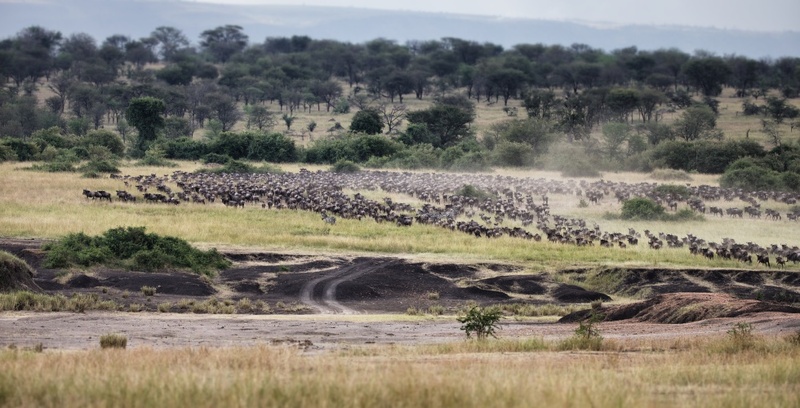 Once the herds arrive from Tanzania, the crossings begin, and our Nkorombo Mobile Camp is in an especially active area. Innumerable wildebeest fill out the plains, swelled by the Loita population joining their numbers to the migration throughout MNC & MMNR. 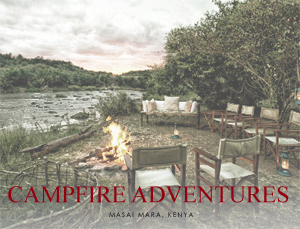 If you’re after the raw proximity of nature, unsurpassed game viewing, the elegant simplicity of sleeping in a tent, and the hypnotic lure of a campfire in the evening, come and visit our Nkorombo camp. The river is the focal point: crocodile killing wildebeest, hippos lounging, and elephant meandering along the banks and up into camp. With the grass grazed back by the herds, oribi, warthog and buffalo are easy to spot, while rock hyrax and klipspringer seek protective vantage points in the kopjes as the grasses vanish. 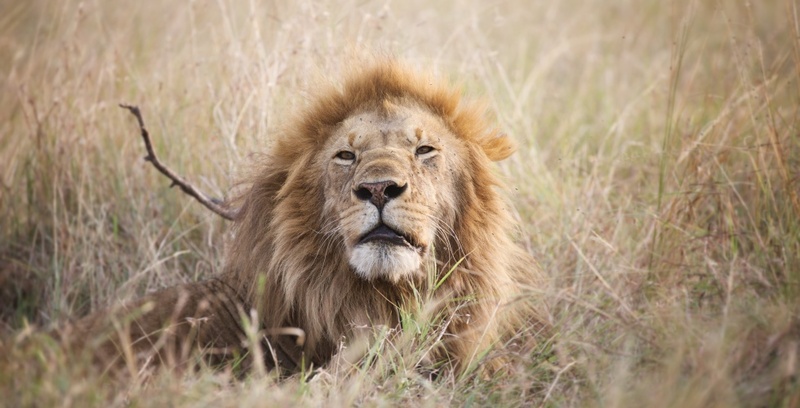 It’s a great time to witness the bizarre spectacle of ostriches mating, and lion sightings around the Kenyan border tend to be excellent during this period. Black rhino are usually visible around Makutano and Balagonja too. 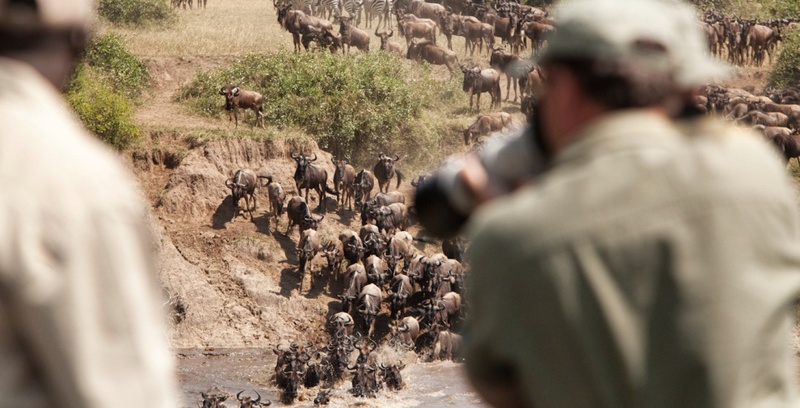 The Mara water level drops, and the wildebeest stampede across. The enormous herds supplement the prey species, and make for easy pickings for the big cats – helped by the grazing thinning out the grass and making both predator and prey more easily visible. Everything is full, fat and happy, including the 4-500 impala hanging around Serian (The Original) and Ngare Serian, making for tasty treats for the leopard. Rhino sightings come into their own at Nkorombo Mobile Camp. The river crossings are where to train your lens: huge wildebeest herds thundering up the dust and exploding across the water, crocodile action, and the dazzle of zebra joining the fray. 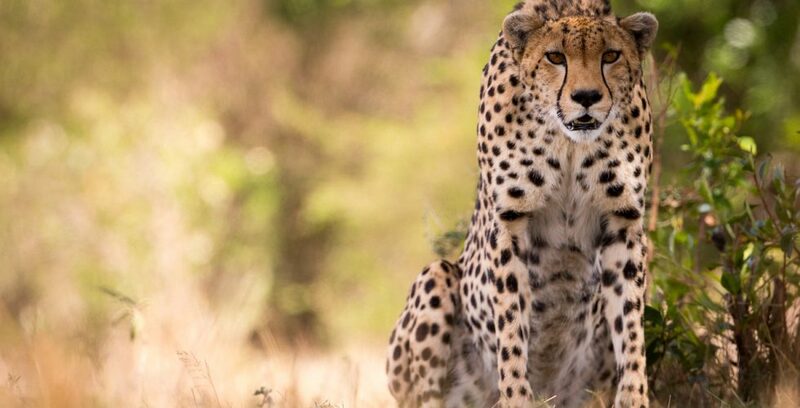 Away from the river, the plains are filled with wildlife, and big cats on a backdrop of scattered savannah rain and smoke-infused skies make for stunning subjects. Get out there early, and stay until the light runs out: make the most out of all the day has to offer. Take in as much as you can – there will be time for weeding through later. Always be disciplined about backing up, and don’t delete until you’ve seen it on a big screen. 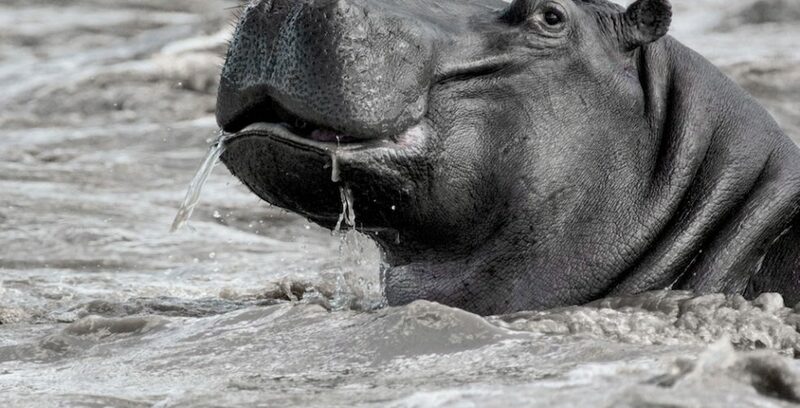 Much the same as in Tanzania, the river crossings are where it’s at – the key is to get the spectacle from both angles, so you see the herds coming toward you across the water as well as heading away. Patience is of the essence, and is always rewarded. Short walks from camp are a wonderful way of putting the big picture together: the focus tends to be on the macro elements, such as insects, birds, and flora, and building an understanding of the fascinating ways in which the entire system is interconnected. The landscape consists of big open spaces, layers of hills and geography, and herds in the distance – very conducive to a wander on the wild side. A 2-day walk down to the river, flycamping in between, can be a great way of accessing the beauty on offer. As a photographer, chief among Alex’s requirements for any vehicle is that it should essentially be a climbing frame that accommodates as many body and lens positions as necessary… and comfortable enough to inspire the desire to spend all day in them. 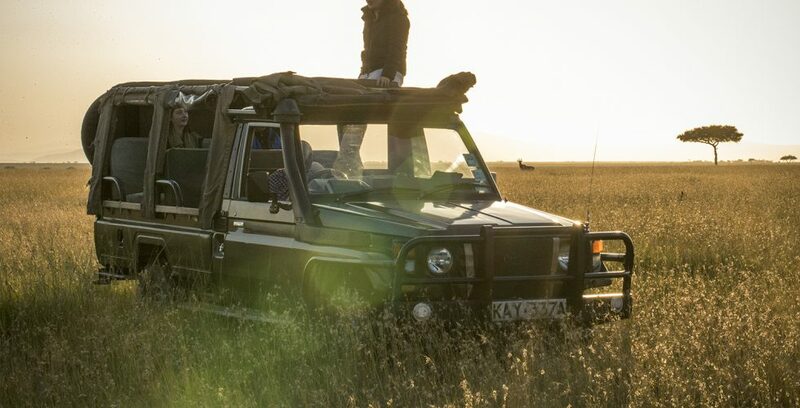 We can also do night drives in Serian’s Serengeti South, Serian, and Ngare Serian. Red-filter spotlights illuminate the nocturnal world without dazzling the wildlife, so you can watch the night come alive with no disturbance to the animals. Take a flask of soup and a blanket, and enjoy the wilderness by starlight. It’s the dry season, and mornings and nights are crisp and cool. 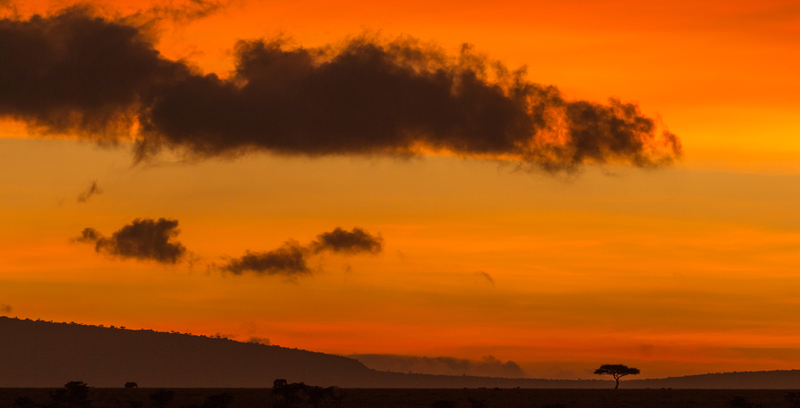 The grass fires in June make for stunning sunsets, and there is the occasional scattered storm that helps keep the wildebeest moving about in search of grazing. The dry conditions means that the condensation that collects on our roofs keeps fresh shoots coming up around the tents, bringing the wildebeest right into camp at night to nibble on these tasty shoots. The secret is to take your time – come for a minimum of 4-5 nights, and also be prepared to wait out the river crossings… It’s always worth expending a little patience. 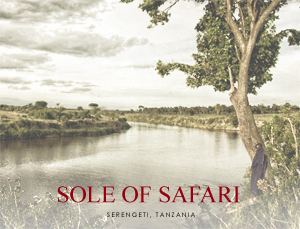 For a real taste of the Northern Serengeti, combine a walking safari with 3-4 nights of flycamping. 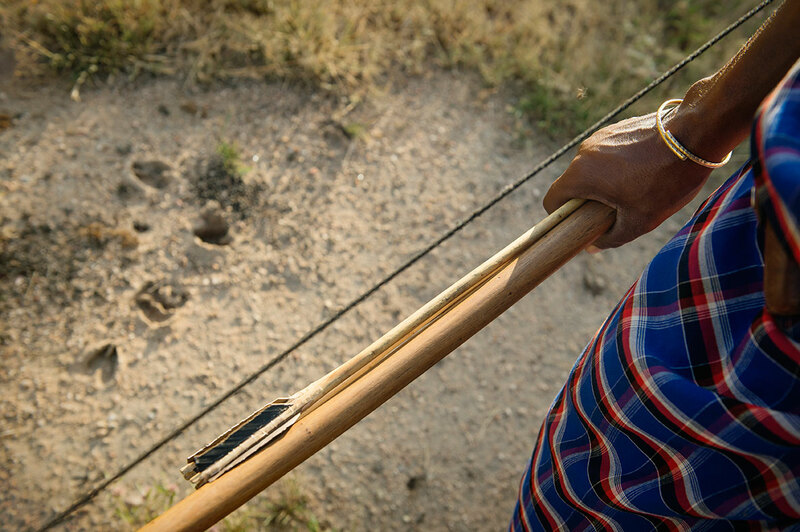 In Kenya, combine Serian (The Original) or Ngare Serian with Nkorombo Mobile Camp, which is in the heart of the Mara and is mere minutes away from the wildebeest river crossing points. 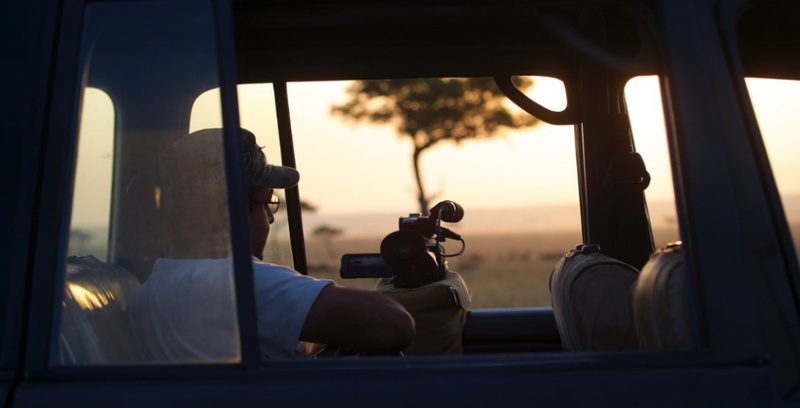 It’s a photographer’s paradise, and it is well worth a week in the Mara alone at this time of year, view the itinerary here.